HTC is starting off the year with phone rumored to have “Eyes”. Not the real eyes though but it is the model name, HTC U11 Eyes. The name could be to testify how powerful the camera will be. But at the same time, unacceptable camera resolutions are said to come. I frown at the 5Mp front camera and 12Mp rear camera which rumors suggests, But hopefully there will be something to be proud of when the phone is launched, maybe dual-Camera just as the photo leaks reveals. 4Gb RAM and 64GB are the expected memory and internal storage sizes respectively.Android 7.1 is the in-built Operating system, that is considerable, as users are not done getting used to Android 8.0, techies excluded. HTC U11 Eyes could have a screen size of 6.0 inches and made of Super LCD capacitive touchscreen. This could be the derivative of the Eye moniker. Resolution is clocked at 1080 x 2160 at 18:9 aspect ratio. The component responsible for task handling is a Qualcomm MSM8976 snapdragon 652, possibly octa-core that is clocked at a frequency up to 2Ghz. The phone is rumored to be IP67 certified water resistant even with it’s fingerprint sensor, rear mounted. HTC U11 Eyes is alleged to be unveiled next week. Black, Red and Blue are the available colors. Leaks from the official site states so. 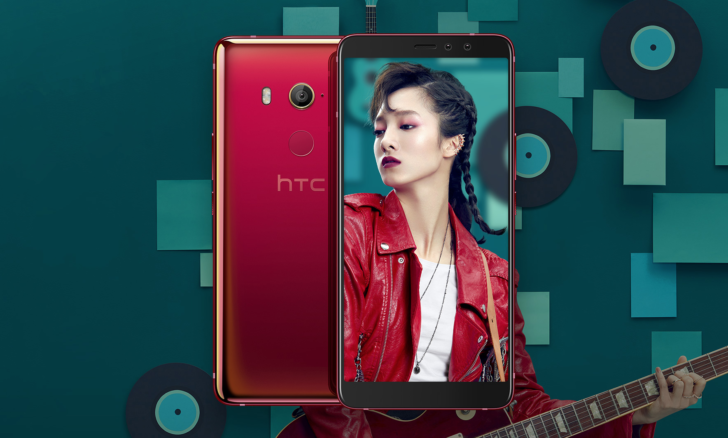 HTC U11 Eyes is unconfirmed to be priced at $511 (184,000 NGN).